Jill Linehan and Rosalind Walshe, interior designers from Ireland. 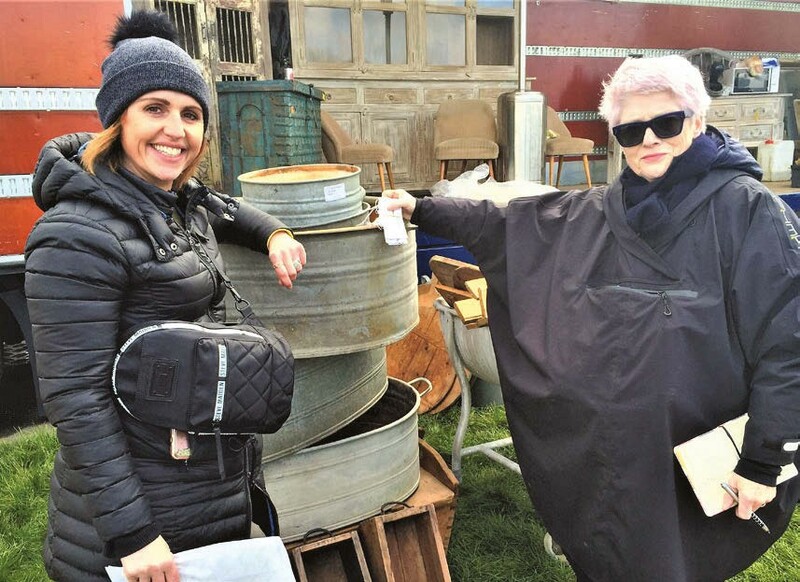 ATG encountered Jill Linehan and Rosalind Walshe (pictured above), interior designers from Ireland, buying industrial fittings and lamps from Dutch dealership Jan van der Vlist Antiek & Brocante for a food hall and boutique hotel in Kildare. The pair, well known in Irish interiors circles, are Lincoln fair regulars and were later heading for IACF Newark. “Ireland doesn’t have anything like this – the variety or the prices,” Linehan said. Roberto Gerosa (pictured above) is an architect based in Milan. Accompanied by friends and colleagues, he was at Lincoln on the Wednesday, heading for Newark on Thursday. A specialist in renovating period homes, Gerosa is a regular in magazines such as Casa Vogue, The World of Interiors and Elle Décor and travels the world collecting objects. Hailing from the US and in the UK twice a year to buy stock for their Dallas shop, Carrie Jane Pogoloff and Lisa Wardlaw were happy with the fair’s “good value on furniture, smalls and accessories – we don’t have to haggle”, and in particular with a George III mahogany sideboard bought for under £200 from an Irish dealer. For the pair to transport container-loads back to the US is “pricey but worth it, to source such unusual finds you can’t get at home”.